The Internet: Coming to a TV Near You. Getting Internet media streamed to your big screen instead of your laptop is nothing new. The concept has been around for a while and there are many ways of doing it: I can browse YouTube via my Blu-ray player, watch Netflix movies on my Nintendo Wii, and rent TV shows on my Apple TV. But this is the problem: with all these devices offering narrow paths onto the Internet, designed in line with their own commercial interests, it’s all a bit untidy. Scruffy, even. 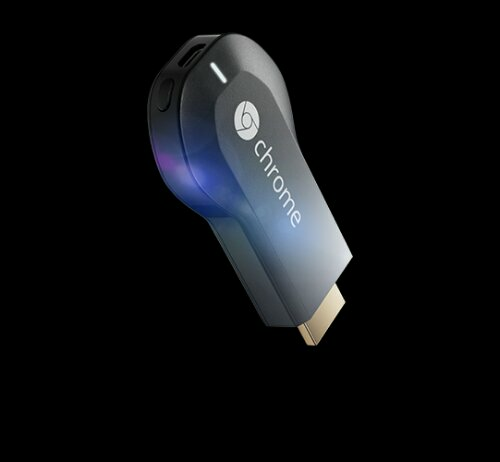 The latest dongle du jour is Google Chromecast–a little stick you plug into your TV’s HDMI socket. Chromecast lets you call up Netflix or YouTube (plus Google Play of course) content on your mobile device and play it on your big screen and sound system. The device is getting great reviews, and at only $35 it’s not a purchase you have to think too hard about, but for me it’s arrival has just made the murky waters even muddier. What we need is a ubiquitous, single standard for big screen Internet media that makes playing online content on your TV as simple as browsing on your laptop. It’s coming but we’re not there yet. In the meantime I guess Chromecast is a nice little toy to play with.